Regular exercise has a number of benefits for overall health and wellness. It can help with reducing stress, strengthening the heart and bones, and is a key factor in weight loss and management (to name just a few). Regular physical activity also plays a role in helping to control blood sugar. But did you know that what you do immediately before and after exercise, regardless of the activity you choose, is just as important as the exercise itself? 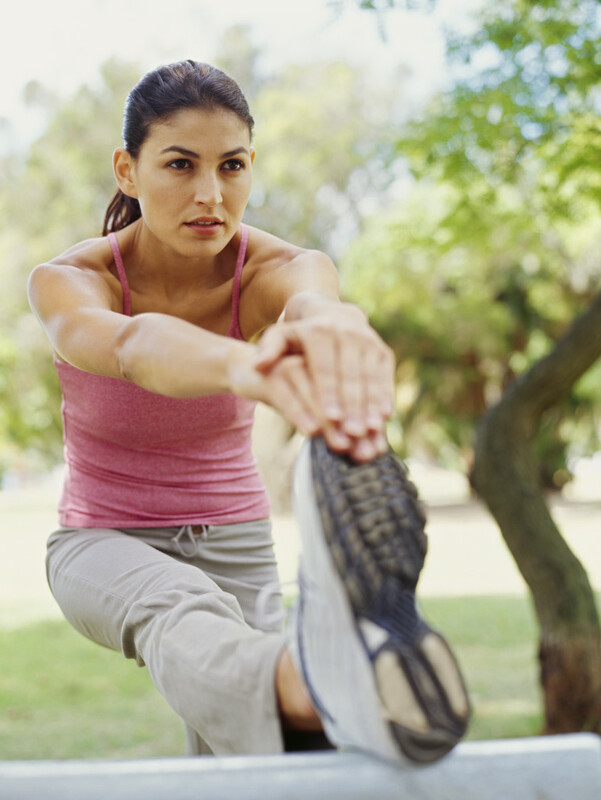 Before starting your exercise session, it’s best to do a warm up. It doesn’t have to be anything strenuous—in fact it shouldn’t be. The purpose of a warm up is to prepare the body for more strenuous exercise by raising the heart rate slightly and increasing the flow of blood and oxygen to the muscles. A low-impact version of the activity you’ll be doing (i.e. walking and jogging before going for a run) is a perfectly acceptable way to warm up, as is using a foam roller. How long you warm up varies by individual and activity, but a good guideline is 5-10 minutes before starting more strenuous exercise. In addition to getting the body ready to move, warming up properly can help prevent injury and improve performance. Think about it this way: an elastic band kept in a desk drawer is easier to stretch and less likely to break than one that’s been in the refrigerator. Your muscles are just like that elastic band; warming up makes the muscles (as well as ligaments—the connective tissues in joints) more flexible and respond to commands more efficiently. A cool down is like a warm up, except in reverse. Where the purpose of a warm up is to increase blood flow and body temperature, a cool down brings the heart rate and breathing back down to resting. Gradually slowing down your activity level can also prevent feelings of dizziness or lightheadedness that’s caused by blood pooling in the legs and feet (which sometimes happens when you stop exercising suddenly). Just like a warm up, the length of time spent doing a cool down varies by individual but the general recommendation is again about 5-10 minutes. Granted, sometimes it can be difficult to find the time to exercise period, let alone add extra time at the beginning or end. Diving right in might seem like a good shortcut, but taking the time to warm up and cool down properly is better for your body and can help get the most out of your workout. In short, that “extra” time is time well spent. Finally, a few reminders: consult your health care provider before starting an exercise program, monitor your blood sugar and keep a snack or fast acting glucose on hand in case of lows.